Submitted by peter on 27 March, 2009 - 16:16. Nissan didn't wait for the Bangkok Motor Show to launch the all new Nissan Teana, it has been in Nissan showrooms across the country days ahead of the show. Although I haven't had a chance to drive the Teana yet, here are my first impression from sitting in the car and playing around with everything. The Nissan Teana joined a very boring segment of the market. The Honda Accord, and Toyota Camry had been battling it out for years, and the Nissan Cifero didn't really get much of a foothold, despite being a reasonably good car. The Thai market is not full of risk takers. People usually buy what other people buy, and if everyone is going for the Camry or Accord, so should you. Nissan realised that they needed to do something different, and the Cifero was replaced with the Teana, which was different for sure. The Teana was the sort of different that makes you think long and hard before you decided if you like it or not. And the sort of different that some like and some don't. The Camry was never a gorgeous car, and very few people would call it that. 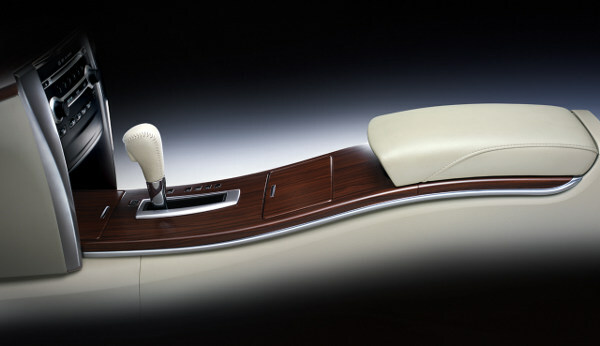 But there is nothing particularly outstanding about it's design, so it has few detractors when it comes to design. The new Teana is quite similar to the model it replaces in terms of exterior profile, and it almost looks like a face-lift rather than an all-new car. This familiarity is a good thing though, because most people have now had time to adjust to the original, and will find the new model less jarring, assuming they didn't like the original of course. And at the same time, fans of the original should find it no less acceptable. It has been almost a year since we first started seeing leaked images of the new car. I think it is one of those designs that works better in the metal and although it's a big car, it seems to hide it's bulk quite well. Overhangs don't look as long as in the past, and the long wheelbase, and large wheels probably help hide some of the size. But that's not to say that it looks small. This is a big car. This is even more obvious when you sit into the drivers seat. the car feels very spacious, and the long wheelbase (2775 mm) leads to plenty of room inside. But this is also where you might get a surprise or two. This car looks great inside, and everything has a very high-quality feel to it. I'm probably getting a bit carried away here. Indeed, there is talk within Nissan that that this car is to mark the start of a resurgence for Nissan, and future products will all borrow from this standard of quality. From first impressions this is a good start! 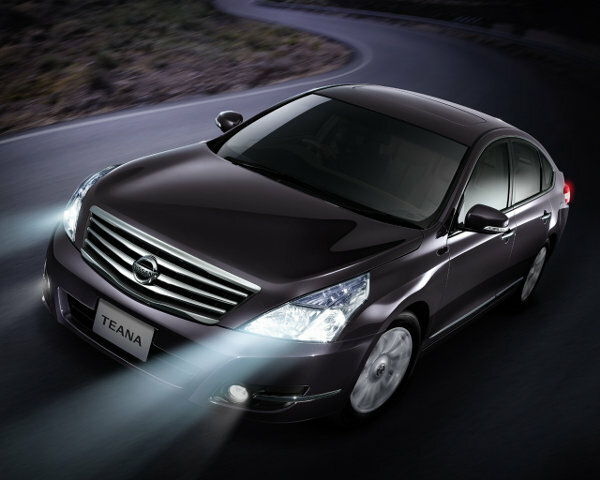 As expected the Teana comes with two engine choices. A 2.5 litre V6, which replaces the 2.3 V6 from the previous generation car, and a 2.0 four cylinder unit to allow a low cost version. And with a THB 1.179 million starting price for the 200XE, this seems like excellent value for money. Most buyers will probably opt for the THB 1.2 million 200XL to get some leather seats and a key-less ignition. Externally the four cylinder and V6 cars are virtually identical. The V6 has larger alloys, but that's it. However, the curtain airbags, and cruise control are only available on the V6 model, and you will have to go all the way up to THB 1.649 million for the 250XV, with sunroof, 6 airbags, and navigation if you want the top spec. If you are in the market for a car in this segment of the market then you have four options to choose from, and you should test drive them all. The Hyundai Sonata, Honda Accord, and Toyota Camry being the other three. There is no clear winner in this bunch and it really depends a lot on taste. 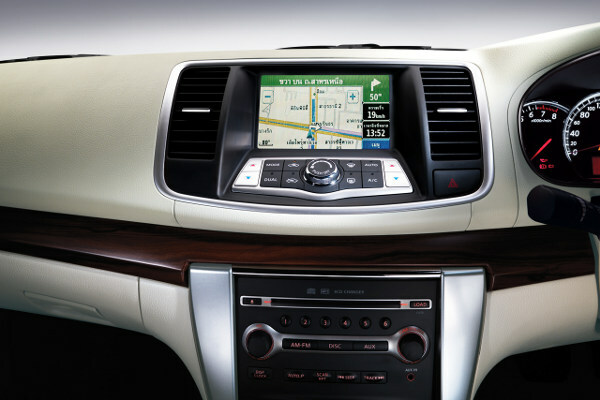 Accord is the drivers car, but at the expense of comfort over rough surfaces. Camry is boring but the safe option in terms of an investment. Sonata offers good value for money, and 5-year warranty or CNG (you only get a more conventional 3-year warranty with the CNG version). 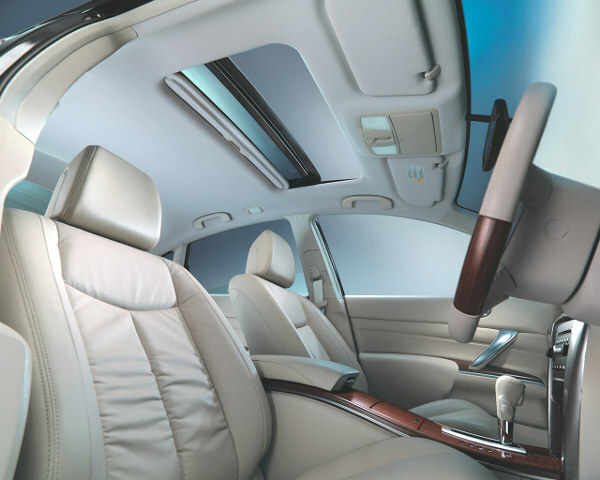 What about the Teana? Most interesting to look at. Most stylish interior. Very high quality feel. Most Comfortable. Lovely design touches. Excellent V6 engine. There will be plenty of folks who will continue to ignore the Teana, and go for the Camry or Accord. Their loss.